When I found the flyer for “John’s Sprinkler Service” (not the real company name) I thought to myself, “Man, what a killer idea.” John’s flyer announced that he is offering a complete lawn irrigation system check-up for just $29.95. I couldn’t get to my phone fast enough to call the local number. I got voice mail and left my message. Editor’s Note: John finally showed up for work on July 7 and worked his magic on my failing irrigation system. For under $400 every one of the 8 zones was repaired and reconditioned. Even sprinkler heads that had never worked well were now doing their job. I am a happy consumer. John hit on a winning business formula: specialization. 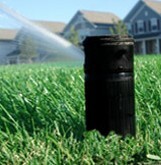 Anyone with a lawn sprinkler system knows how difficult it can be to get it serviced. At the time you need the service most, the licensed professionals are on the job 13 hours a day, 7 days a week. Even when you can find someone willing to come out, most of the time they are no-shows. John identified a seasonal need and offered to fill it. John’s simple black and white flyer also noted his Texas State Irrigation license number. The brief sales copy was on target and to the point. He hit all of the important things a homeowner might want to know—that he can fine-tune and repair your system. As a 36-year marketing professional my initial reaction was that the entry price is too low. $29.95 will get lots of reaction, but a higher price—maybe as high as $59.95—would have culled a lot of calls and brought to the table only the most serious homeowners with money to spend. Using a low loss-leader price (called the psychological entry point) would generate traffic, but requires that John know how to qualify and sort through the calls to find the serious prospects. Of course, the goal is to get the appointment, get to the property and develop that list of things that need to be done. The result in most cases would be a sizable service bill. At my home there are no fewer than four chopped-off sprinkler heads, another half dozen just not working right, and at least one zone pump leaking non-stop. I really need John to come do his thing and I’m willing to pay his price. The next day when John had not returned my call, I called again and left a second message. My assistant called twice more over the next two days. Finally, five days after getting the flyer on my door, I called and left a different message. The sun doesn’t shine every day. John won’t be booked solid forever. First, John must return his calls. It is not only common courtesy, but just good business. Sitting down each night after work, John can make a list to take with him the next day. Between jobs and whenever time allows, John can return calls and add new appointments to a simple appointment book. Put everything in pencil. If a customer cancels, move another one up the ladder: manage the time. When the calls from the ad campaign subside, John will have an appointment book filled with jobs and no disappointed homeowners thinking he’s irresponsible. As I write this I’m looking out the window of my home office as a 20-foot stream of water gushes straight up from a decapitated sprinkler head. I grab John’s flyer and leave a voicemail message. UPDATE 6/22: I am pleased to report that John finally called. He apologized for the delay. I asked to be put on a list that he admitted was getting longer each day. So, I am on the list! I’m hoping for a visit from John’s Sprinkler Service before the first frost. UPDATE 6/23: John called to set an appointment for Thursday of this week (6/25). UPDATE 6/25: John called, said he would call me before noon to say what time he expected to be there. My neighbor cancelled plans to take the kids to Waterloo Pool so he could be there to meet with John. UPDATE 6/28: No show. No call. We’ll see what happens next week. UPDATE 7/3: Left voice mail message. UPDATE 7/4: No show. No call. Brown, dying grass, flooded side yard. My wife and I had a similar problem recently in that we waited 3hrs for a serviceman to turn up. We made the arrangement a week prior. After 3 hours we left a dozen messages on both his mobile and home phone only to be eventually told our job was not that important and a more pressing job that paid more money was. Needless to say we canceled the job.